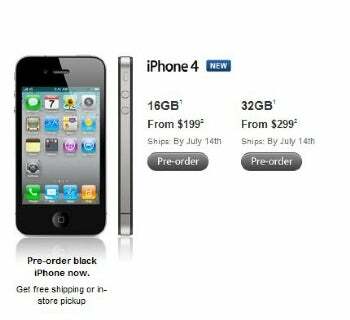 Tuesday, June 15: This is the first day of iPhone 4 pre-orders before the handset reaches stores on June 24. 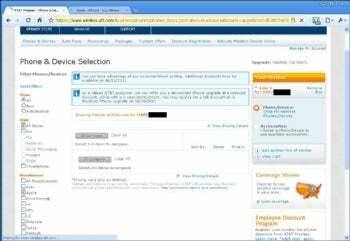 Some AT&T customers, after logging onto the wireless carrier's website to pre-order an iPhone 4, report that they're able to access other users' accounts. According to an anonymous "AT&T insider" who contacts tech blog Gizmodo, the log-in glitch may have been caused by a weekend server software upgrade at AT&T--one that didn't work out as planned, obviously. The screen shot at left is purportedly from an AT&T customer who logged into his account, only to gain access to the private information of another user ("Mary"). Wednesday June 16: AT&T issues a statement saying it has received complaints about the privacy breaches, but adds that it hasn't been able to duplicate the problem. Meanwhile, additional reports surface of technical errors that prevent customers from ordering an iPhone 4 on the AT&T and Apple sites. "Yesterday Apple and its carrier partners took pre-orders for more than 600,000 of Apple's new iPhone 4. It was the largest number of pre-orders Apple has ever taken in a single day and was far higher than we anticipated, resulting in many order and approval system malfunctions. Many customers were turned away or abandoned the process in frustration. We apologize to everyone who encountered difficulties, and hope that they will try again or visit an Apple or carrier store once the iPhone 4 is in stock." The high number of pre-orders forces Apple to push back the iPhone 4's shipping schedule. Customers are no longer able to reserve a phone and pick it up on the June 24 launch date. Apple's site reports that iPhone 4 units (16GB or 32GB) will ship by July 14. However, Apple Stores will reportedly still have a small cache of iPhone 4s in stock for walk-in customers--provided you get there early enough.